Every employee in every hospital around the country plays a role in hospital-based healthcare waste management. 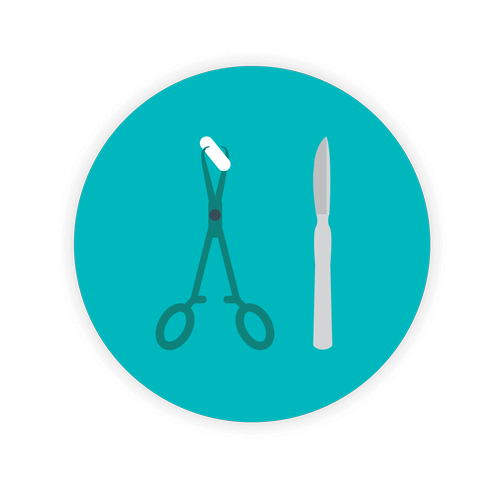 Different types of healthcare waste are generated by every department in a hospital, from the janitorial and housekeeping staff to surgical suites, infectious disease units, and so forth. When it comes to the importance of hospital waste management there are a few things that should be initated like healthcare waste segregation, an understanding of different healthcare waste stream sources, and regular healthcare waste audit procedures. That’s why Daniel Health takes the “inside the four walls” approach. We know that education is the key to awareness and proper healthcare waste segregation and disposal processes inside healthcare facilities. We want to work with you and your staff to ensure everyone feels confident in compliantly disposing of healthcare waste. We are your partner not just another "bag and a box" medical waste disposal company. Althought it’s not just about education, but reducing the volume of medical waste going to landfills, instituting reusable containers, and developing point-of-use solutions. Compliance is key when it comes to the generation, storage and collection, and transportation and disposal of hospital waste. Hospital waste management increases safety of employees and reduces sharps injury potential, along with the costs of direct and indirect treatment as a result. It also reduces the risk of exposure to blood-borne pathogens and reduces hospital-acquired infections (HAIs). The less a hospital employee has to handle medical waste, the better. Healthcare personnel in the US experience over 300,000 needlestick and/or other sharps-related injuries every year. Today the focus is not only on minimizing environmental waste, but increasing healthcare worker safety. We know it’s time-consuming to segregate waste and to find adequate storage spaces before a medical waste disposal company can “collect the trash”. Nevertheless, enhanced education and improved reporting procedures not only increases efficiency, but ensures compliance to federal and state guidelines. Bottom line: It is the generator’s legal responsibility to properly segregate and dispose of healthcare waste. Shall we talk money? Improper waste segregation costs hospitals tens of thousands of dollars a year – because some throw away a bulk of their waste into their biohazardous waste stream – even if it’s not biohazard waste. One New York City hospital started an aggressive medical waste reduction program and shaved nearly one million dollars annually off their waste disposal costs! Hospitals must be able to follow the trail or waste stream of different types of healthcare waste. These waste streams should be controlled from the moment they’re generated to final treatment, also known as the cradle-to-grave process. It’s essential for hospitals to have policies and procedures in place that regulate the handling and implementation of healthcare waste and the volume and type of waste generated. Just because something is “disposable” doesn’t mean that it doesn’t have to be handled properly in regard to segregation. That’s where the waste audit comes in. Waste audits are an integral part of healthcare waste management and aid hospitals in determining the difference between clinical waste and non-clinical waste, as well as the proper segregation of waste streams. Every department within the hospital - from administration to janitorial - are given specific guidelines and instructions. Washington State created their best-practices guide for medical waste years ago. For example, the anesthesia department is instructed to handle spent charcoal filters as dangerous waste. The clinical research department was mandated to manage their chemicals and waste properly through the use of closed, clearly labeled, and dated containers stored in secured areas. They took it farther and required that secondary containment before proper disposal was needed in certain scenarios. The housekeeping department was provided very specific guidelines on the segregation and storage of solid, biomedical, and dangerous waste as well as recyclables. Yes, we’ll say it again: the responsibility of healthcare waste processes belongs to the generator. Penalties and fines can be incurred even after medical waste leaves your hospital. Until its final disposition, it’s your responsibility. It’s also the law. 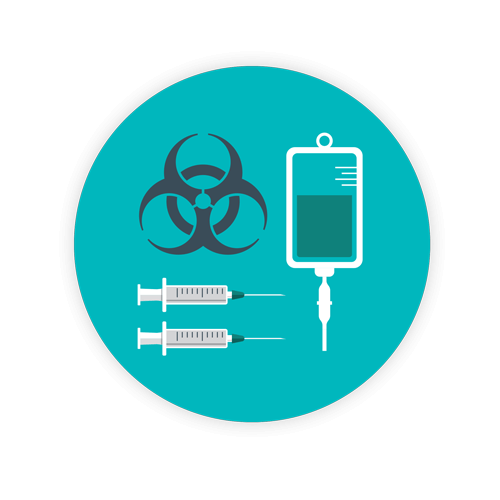 It’s important to note that approximately 15% of waste generated by most healthcare facilities is deemed hazardous, along with a few other types of regulated medical waste such as biohazard waste. However, even though that may seem like a small amount of waste generated by a facility, massive fines are incurred for non-compliance. Fines amounting to hundreds of thousands of dollars for a hospital facility for non-compliance or improper handling, storage, or transportation of hospital medical waste still occur. Fines for violations accrue on a daily basis, per violation. Avoid fines for failure to segregate medical waste properly. Be aware of waste handling laws, permits, and adequate healthcare waste disposal practices. Daniels Health can help you remain compliant. Our sustainable and efficient healthcare waste management solutions put safety of employees and the environment first. Reduce sharps injury. Aim for reduced carbon footprint. Pay attention to proper healthcare waste segregation and waste management. Contact us today for information on how we can optimize your medical waste disposal practices and remain compliant with ever-changing federal and state guidelines. They are the best containers I have ever seen. I would most definitely recommend Daniels to all institutions.